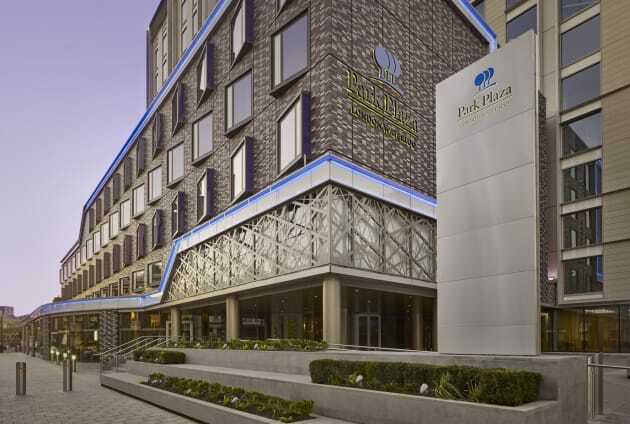 The contemporary Park Plaza London Waterloo is a 4-star hotel conveniently located for Waterloo and in front of Lambeth North tube stations, ideally located for the cultural attractions of the South Bank. After exploring the sights, unwind in the hotel’s spa, sauna, fitness centre and indoor pool or just relax and take in the view from the rooftop lounge. Designed in a contemporary style, each room at the Park Plaza London Waterloo has a flat-screen smart TV, air conditioning, free wi-fi, minibar and private bathroom stocked with Elemis products. 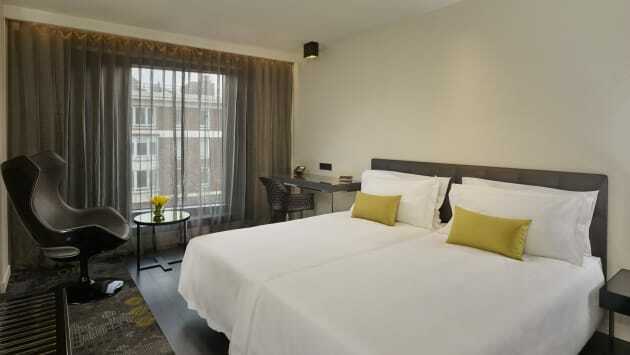 This contemporary hotel is ideally located for exploring the South Bank’s attractions, including the London Eye, National Theatre and South Bank Centre, and is just minutes’ from historic Westminster, as well as train and tube links. On-site, you’ll find a gym, indoor pool and spa, as well as an excellent selection of drinking and dining options. Rooms have flat-screen TVS, free wi-fi, laptop safes, minibars and private bathrooms. A contemporary 4-star hotel on the South Bank, the Park Plaza Westminster Bridge London is just across the river from the iconic Big Ben and the Houses of Parliament. Spoil yourself during your stay with a session at the Eastern-inspired Mandara Spa, and choose between Brasserie-style food at Joël, the cool Ichi Sushi Restaurant and Sashimi Bar, and the tempting treats at 1WB Patisserie and Lounge. The hotel’s rooms have large LCD TVs, bathrooms with separate showers and tubs and free wifi. Overlooking the River Thames from its enviable location just south of Westminster Bridge, the award-winning Park Plaza County Hall London is moments from the London’s Southbank area and within easy reach of the West End. 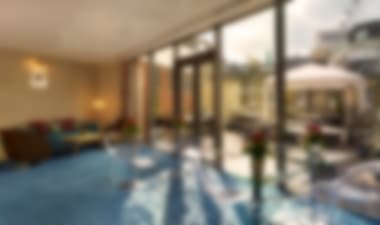 The comfortable rooms boast state-of-the-art amenities, including free wi-fi access, Plasma TVs and luxury private bathrooms. Keep in shape at the on-site fitness centre, unwind in the hotel spa before dining on authentic continental cuisine at L'Italiano Restaurant. 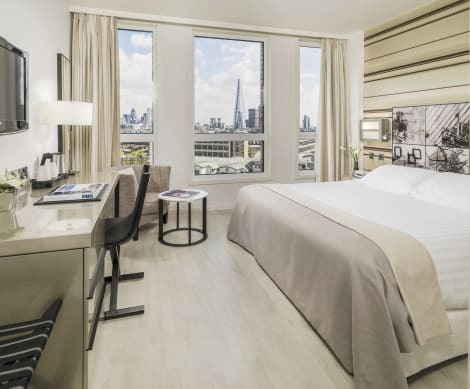 Housed in a striking contemporary building set moments on foot from Southbank, Waterloo railway station and the Houses of Parliament, the 4-star H10 London Waterloo is excellently located for visiting London. 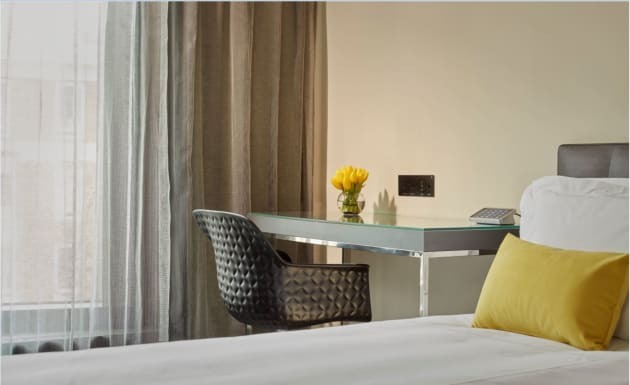 Boasting stunning views of the surrounding area, the modern rooms feature elegant décor and come equipped with free wi-fi access, flatscreen TVs and integrated media hubs. Enjoy Mediterranean and international cuisine at Three O Two Restaurant, followed by drinks at Waterloo Sky Bar. Please note, the SKY BAR will be closed in NYE, 31st December 2019.